Safety is of the upmost importance and in our product; you won’t find any unnecessary fillers, dye or chemicals. We don’t use any sketchy or unproven ingredients that could potentially impact your health either. The beauty of PREMASS lies in the simple science and clinically effective dosing of PREMASS. PREMASS is built on proven, tested and safe ingredients. It’s the first ever 2-In-1 Nitric Oxide Booster/Pre Workout Mass Builder without stimulants. 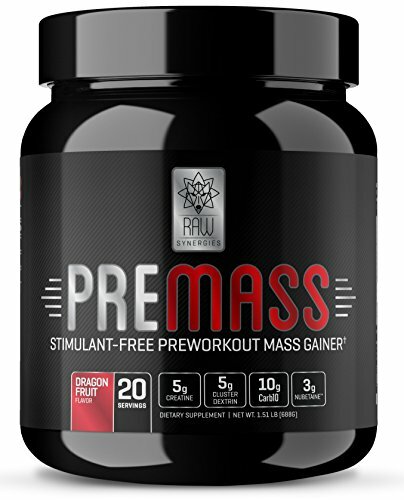 *Since it’s stimulant free, PREMASS can be combined with other stimulant based pre workouts." If you have any questions about this product by RAW Synergies, contact us by completing and submitting the form below. If you are looking for a specif part number, please include it with your message.